The Mil Mi-28A/N (NATO reporting name "Havoc") is a Russian all-weather, day-night, military tandem, two-seat anti-armor attack helicopter designed and produced by Mil Moscow Helicopter Plant. 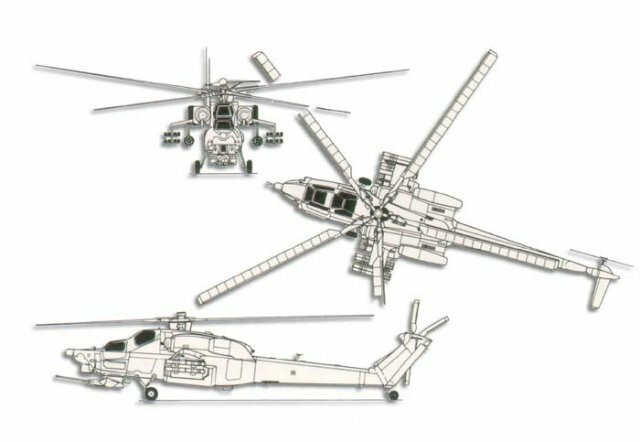 It is a dedicated attack helicopter with no intended secondary transport capability, better optimized than the Mil Mi-24 gunship for the role. Design work on the Mi-28 began under Marat Tishchenko in 1981, and the first prototype was flown on 10 November 1982. 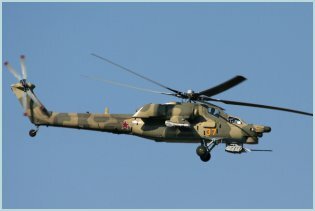 The Mi-28 program was cancelled in 1993 because it was deemed uncompetitive with the Ka-50, and in particular, it was not all-weather capable. Changes in the military situation after the Cold War made specialized anti-tank helicopters less useful. The advantages of the Mi-28N, like all-weather action ability, lower cost, and similarity to the Mi-24, have become important. 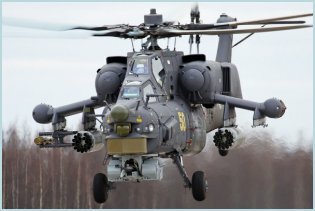 In 2003, the head of Russian Air Forces stated that the Mi-28N and Ka-50 attack helicopters will become the standard Russian attack helicopter. 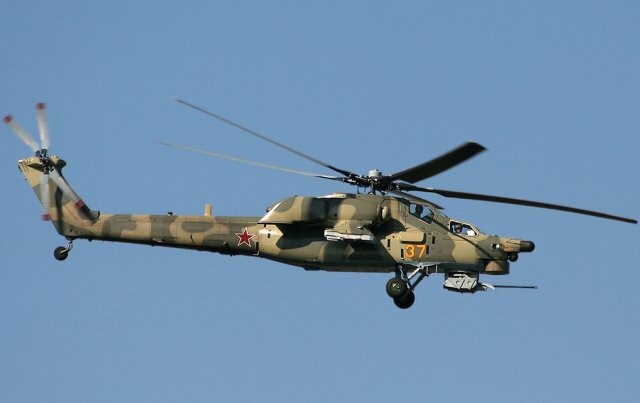 In August 1996 Mil rolled out a prototype of the day and night capable version, the Mi-28N Night Havoc. The first production Mi-28N took its first flight in April 2004 and began flight testing with the Russian Air Force in June 2005. The Mil Mi-28 is currently in use in Russia, Iraq and Kenya. - Mi-28N: All weather day-night version. - Mi-28NE: export version of the Mi-28N. - Mi-28UB: (Ucebno-Bojevoj) "Training-and-combat" version, designed for training for Mi-28N. Has dual hydromechanical flight controls that can be operated from tandem cockpits, a more spacious lower cockpit to house a flight instructor, a wider pilot canopy, and new energy-absorbing crew seats. Serves as a trainer but can perform attack helicopter tasks. The Mi-28A/N is a new-generation attack helicopter that functions as an air-to-air and air-to-ground partner for the Mi-24 Hind and Ka-50 Hokum. The five-blade main rotor is mounted above the body midsection, and short, wide, tapered, weapon-carrying wings are mounted to the rear of body midsection. Two turboshaft engines in pods are mounted alongside the top of the fuselage with downturned exhausts. The fuselage is slender and tapers to the tail boom and nose. It features a tandem, stepped-up cockpits and a cannon mounted beneath the belly, with non-retractable tricycle tail-wheel type landing gear. This energy-absorbing landing gear and seats protect the crew in a crash landing or in a low-altitude vertical fall. The crew is able to survive a vertical fall of up to 12 m/s. Armored cockpits protect the crew against projectiles of up to 20 mm in caliber. The pilot's and weapon operator's cockpits are isolated to decrease the probability of hitting the crewmembers by one projectile. Provision is made for bailout in emergency at altitudes higher than 100m. The energy-absorbing seats and landing gear protect the crew during crash landing. While the Mi-28 is not intended for use as a transport, it does have a small passenger compartment capable of carrying three people. The planned purpose of this is to enable the rescue of downed helicopter crews. The Mi-28A helicopter is powered by two TV3-117VMA turboshaft engines, fitted on either side of the fuselage. It is equipped with an auxiliary power unit for self-contained operation. The two engines drive a five-blade main rotor and a four blade tail rotor (facing starboard) while generating 2,194 horsepower each. 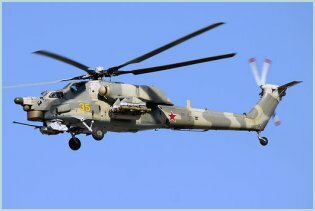 The Mi-28 is fitted with deflectors for dust and foreign objects forward of air intakes, which are de-iced by engine bleed air. The internal fuel capacity is 1,720 litres. Provision for four external fuel tanks on underwing pylons are available. The initial productionl Mi-28A Havoc helicopter integrated usual communication systems, such as UHF/VHF nav/com; small IFF fairing each side of nose and tail. 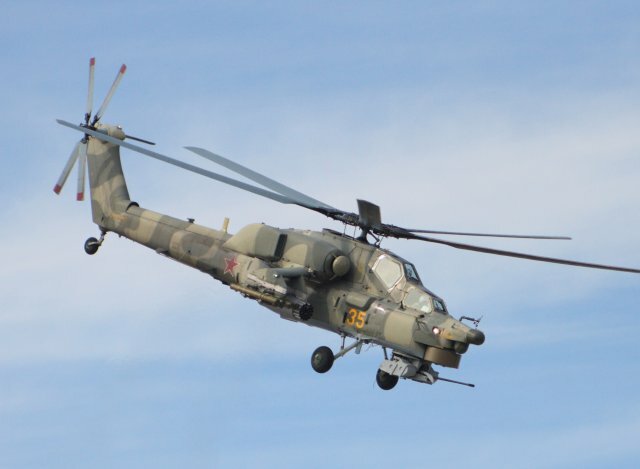 Mi-28's instrumentation comprises conventional IFR instrumentation, with autostabilisation, autohover, and hover/heading hold lock in attack mode; pilot has HUD and centrally mounted CRT for basic TV. The mission systems include radio for missile guidance in nose radome, daylight optical weapons sight and laser range-finder in gyrostabilised and double-glazed nose turret above gun, with which it rotates through ±110°; wiper on outer glass protects inner optically flat panel. 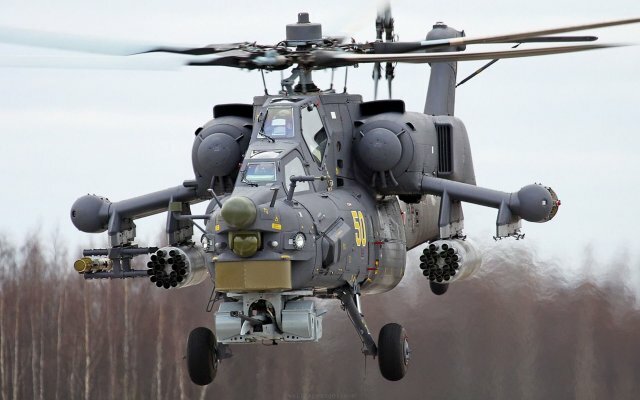 Mi-28 Havoc's self-defense was ensured by two fixed IR sensors on initial basic production Mi-28; IR suppressors, radar and laser warning receivers standard; optional countermeasures pod on each wingtip, housing chaff/flare dispensers and sensors, probably RWR. 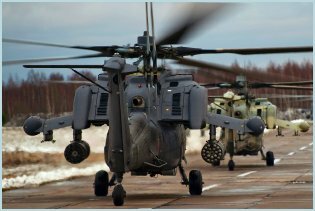 An integrated new-generation avionics suite ensures round-the-clock all-weather combat employment of the Mi-28 helicopter, solo and formation air operations at enemy forward edge and tactical depth, and automated low-altitude (10 to 15 m) terrain-following flights. The integrated system comprises: weapon operator's stabilized surveillance and fire control station provided with optical, TV and thermal imaging channels; pilot's thermal imaging station; helmet-mounted target designation and display system; night vision goggles; a laser rangefinder; color liquid-crystal displays; inertial, satellite and geophysical navigation systems. 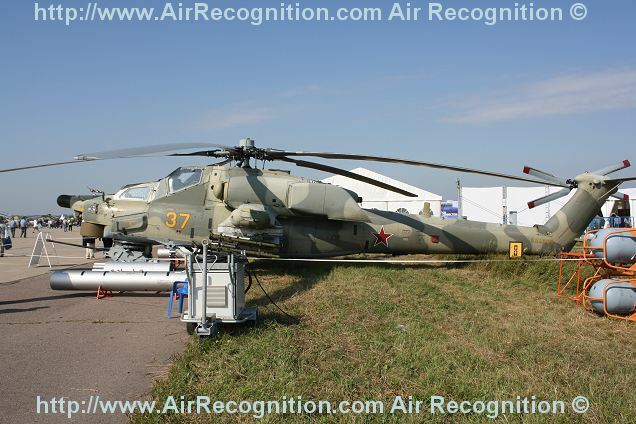 Mi-28N has also integrated Vitebsk DASS with Pastel RWR, Mak IR warning system, Platan jammer and UV-26 flare dispensers. 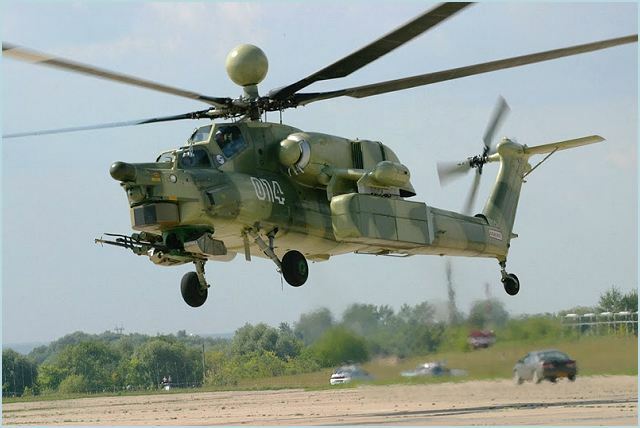 The Mi-28/Mi-28N is equipped with the 2A42 30mm turret-mounted gun able to rotate through +-110° in azimuth, elevate 13° and depress 40°. Its ammunition load of 250-rounds is stowed in containers installed on the turret proper to ensure reliable ammunition feed. The helicopter's wing is provided with four hardpoints to carry the Ataka air-to-surface and the Igla air-to-air missiles and rocket pods. The helicopter's combat survivability is ensured by a radar/ laser threat warning system, heat and chaff decoy dispensers. - 16 Ataka-V anti-tank missiles, and two 23 mm Gsh-23L gun pods with 250 rounds each.